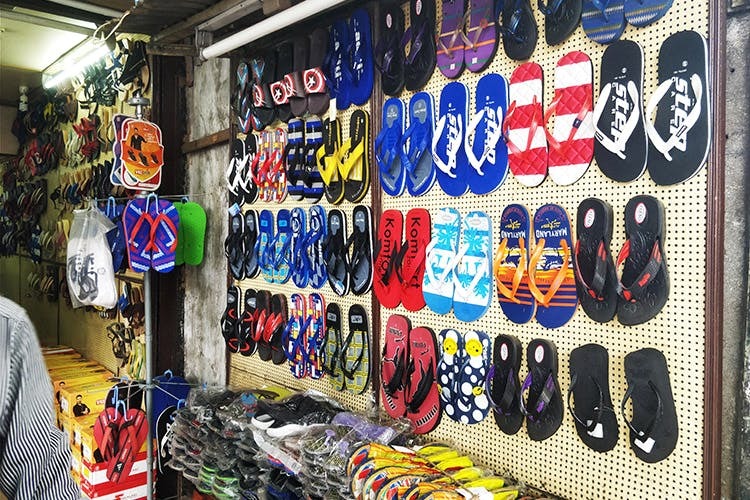 Gani Footwear in Anna Salai has a good collection of cute flip flops, Crocs, and shoes and affordable prices. Perfect for every season of the year! Gani Footwear is a treat for fast shoppers who can't wait for more than 20 minutes at a store. This store is hard to miss as it is literally on the side of the main road in Anna Salai. They have a cute collection of footwear that is showcased where everyone passing by can see. If you have super small or large feet and have had difficulty finding your size, don’t be concerned! This store has a wide range of sizes, so you won’t have as much difficulty finding your size. You can find tennis shoes and Indian footwear inside the store, where another variety of footwear is showcased. The shoes start at INR 150 and flip-flops and clogs start at INR 100. So, get in, get out, and finish your shoe shopping in minutes! There is no space to park or even stop your car as it is the main road. So, make sure you stop a little before and get to this store by walking on the footpath!